Are you a big Jimi Hendrix fan? Do you like a nice shot of some sophisticated spirits while jamming out to your favorite tune? Well if you said yes to either of those questions then this is the perfect shot glass set for you! 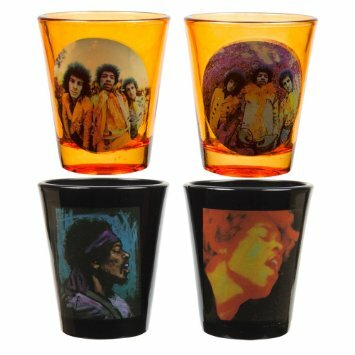 Featuring 4 different images of Jimi Hendrix, this shot glass set is the perfect addition for any rock memorabilia collector.